Cynthia Nixon meets with people at the Bethesda Healing Center on March 20th, 2018, in Brooklyn, New York. 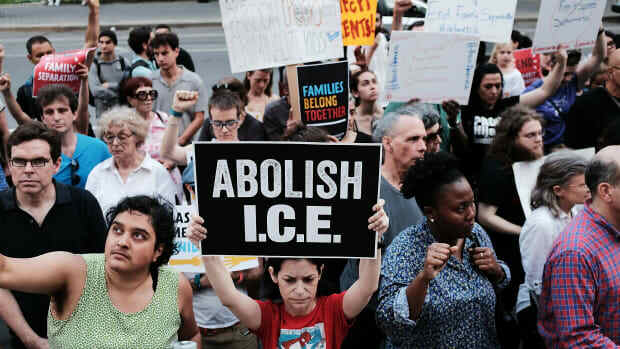 Progressive mid-term election candidates like Cynthia Nixon and Alexandria Ocasio-Cortez have roused constituents with campaign trail promises to work to abolish Immigration and Customs Enforcement. The question is whether they can deliver. Nixon, who&apos;s running to become governor of New York, cannot, by law, abolish ICE. Ocasio-Cortez, who is running for a New York seat in the House of Representatives, would face a groundswell of opposition, even in the event of a so-called congressional Blue Wave. 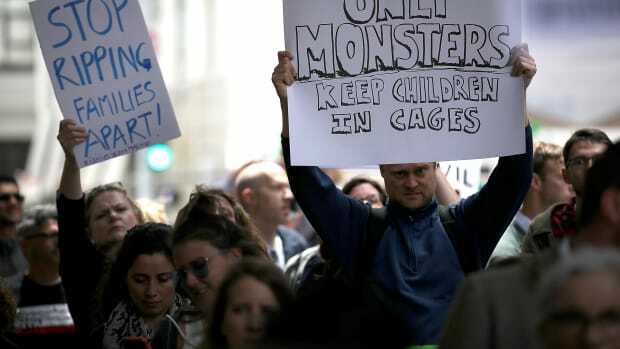 Of course, their vocal opposition to the Trump administration&apos;s immigration policies is more about raising general awareness around the issue than it is proposing specific tweaks to policy. 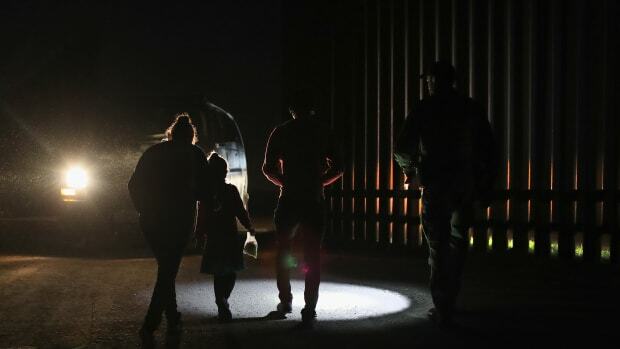 And that awareness is crucial, analysts say, to combating the immigration crises at America&apos;s borders. "It&apos;s more of a political strategy than it is an end-game," says Bill Hing, a University of San Francisco law professor. But neither candidate has yet to offer much detail on what specific policies they would pursue to tackle ICE at the state and federal legislative levels, respectively. Though for Nixon, it&apos;s really a moot point: There simply isn&apos;t very much she could do from Albany. And neither responded to a request for comment from Pacific Standard on what they would do to abolish ICE. 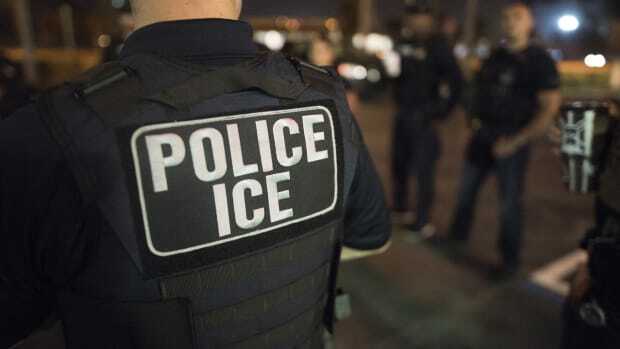 "ICE is a federal agency, so Cynthia Nixon [as governor] would not have power to abolish it," says Margaret Russell, a constitutional law professor at Santa Clara University. Russell agrees with Hing that the weight of the candidates&apos; fight against ICE was in their verbal opposition to the administration’s treatment of immigrants. "I think by raising their voices in such a high-profile way, both of them are making a difference," she says. Stifling as they may seem to immigration advocates, the constitutional principles of federalism that bar Nixon from weighing down on ICE have also protected states working to temper Trump administration immigration enforcement in their jurisdictions, Hing says. While there would be tools at Nixon&apos;s disposal to fight the onslaught of retaliatory raids, her authority would stop short of actually abolishing a federal government body. "Of course it is not possible for a state to regulate immigration. That&apos;s why Arizona lost its lawsuit a few years ago," Hing says, referring to the 2012 Supreme Court case Arizona v. United States, in which the justices ruled that Arizona&apos;s bid to have local law enforcement assist federal immigration agents actually intruded on federal authority. Late last week, a federal judge cited Arizona v. United States when he ruled in favor of California&apos;s protections against state and local employees helping ICE. If Nixon were to take on ICE, it would involve some fancy legal footing, as with the ongoing tug-of-war between states like California and Washington over immigrants, according to Hing. "If a state can depict what it&apos;s doing as something other than regulating immigration that makes sense—they may be able to get away with a law that affects immigration," he says. "That&apos;s why the state&apos;s sanctuary ordinance was upheld so far, on the grounds that it&apos;s public safety; if citizens can&apos;t trust law enforcement, that affects its ability to do its job and that affects public safety." 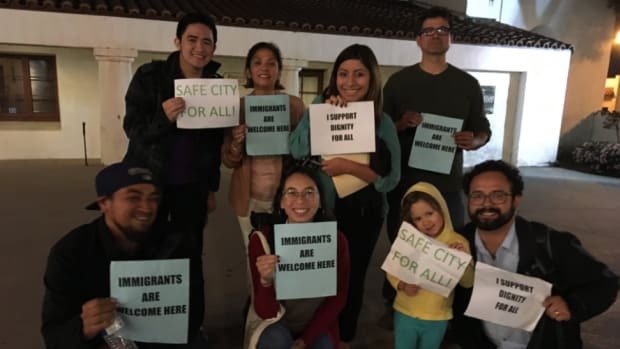 But even if the state can make a compelling argument that immigration enforcement somehow hinders its ability to provide for the well-being of its residents, the federal government&apos;s mandate to enforce immigration law often trumps those considerations. "I doubt a judge would recognize that state interest above the federal government&apos;s responsibility to enforce immigration laws," Hing says. 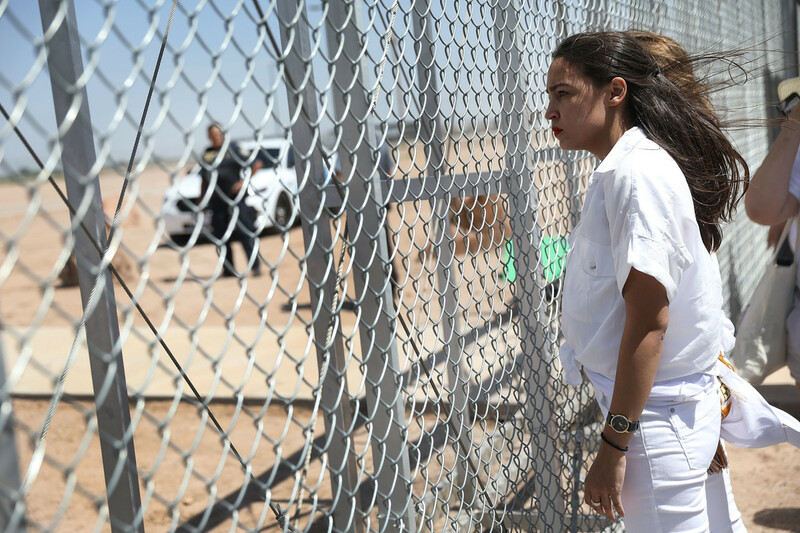 Alexandria Ocasio-Cortez stands at the Tornillo-Guadalupe port of entry gate on June 24th, 2018, in Tornillo, Texas. But Hing believes that, even in a scenario where young progressives are elected to Congress, a Representative Ocasio-Cortez would have a hard time convincing colleagues to dispense with ICE altogether. "If there&apos;s a Blue Wave, eliminating ICE is not going to happen, because even Democrats believe in immigration laws. Even if you watered it down, there&apos;d still be immigration laws and enforcement," Hing says, "Once you have immigration laws, you&apos;ve got to have enforcement." 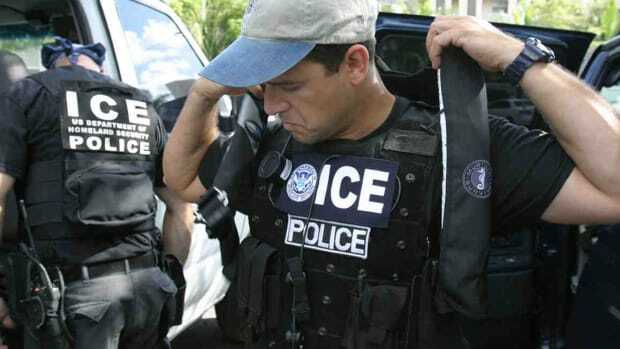 Richard Boswell, a law professor at the University of California–Hastings who specializes in immigration law, hypothesizes that ICE might be absorbed into a re-imagined "Immigration and Naturalization Service," the now-defunct agency that oversaw immigration prior to ICE&apos;s creation. Boswell says that, under a reinstated INS, there would be some improvement, if only because there wouldn&apos;t be a single enforcement body whose mandate it is to detain and deport as many undocumented people as possible. Still, he adds, "ICE, [Customs and Border Patrol], and [Citizenship and Immigration Services] all reflect the nativism that we find in this country and the rhetoric of Washington."